This past week has been tumultuous for communities everywhere. In his first few days in power, Trump has removed any doubts of whether he will follow through on his racist and dangerous statements made during his campaign. So far, we have seen orders that target immigrants and sanctuary cities, commit to building a southern border wall and the fiercely resisted DAPL pipeline, and attack access to healthcare as a way to disempower and threaten the lives of women and trans people, especially people of color and the working class in the U.S. and globally. We are bracing for expansions of policing power, restrictions on travel for Muslims, and banning refugees from Muslim majority countries. Less discussed are Trump’s plans to unearth secret prisons for torture and the almost certain expansion of the prison system. And yet, with so much to fear and fight, we remain hopeful, steadfast, and inspired. The Trump regime’s barrage of executive actions and ominous promises were met with a powerfully resounding resistance from across grassroots movements, sectors, communities – here and across the globe. In cities all over the country, organizations joined one another to hold rallies, press conferences, demonstrations, and direct actions, making clear that people’s movements will not endure attacks from those in power silently and without a fight. Because the state’s threats seek to disempower and criminalize the broadest range of people, we are seeing an incredibly broad front demanding a commitment and radical expansion to sanctuary spaces, non-cooperation with federal repression such as ICE, the development of rapid response networks, and increased calls and efforts to not involve or rely on the police when responding to harm. Our lives are bound together, and our struggle is international. 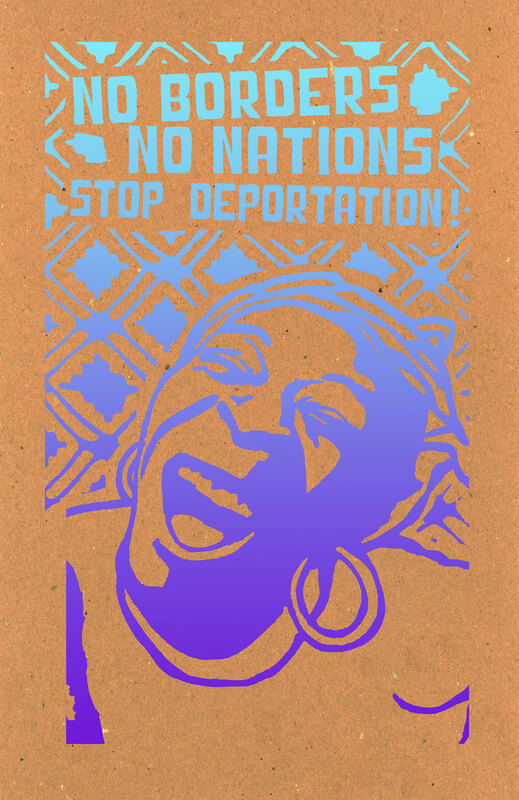 As always, we strive to highlight the importance of building with those who the state attempts to disappear in cages, just as we stand with communities everywhere that resist the separation and control of borders. For us today challenging Trump, the prison industrial complex, and racial capitalism more broadly, we hold abolition high as a powerful weapon. We uplift it as a practical organizing strategy in our daily lives – one that informs our political efforts and communal relationships – as well as the common sense, beautiful, and alternative vision for the world we are fighting for. This is just a modest list. There are many, many more resources that comrades and allied organizations have created and compiled. We hope that you share these resources, explore others, pass along any you may have, and support the organizations doing this work as we move to strengthen our movements.